What are little boys made of? Snakes, if they had their way. 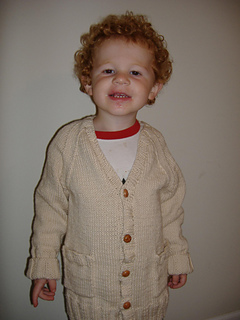 So stitch a stuffed one right around the shoulders and down the neck of a classic raglan-sleeve, V-neck pocket cardigan.